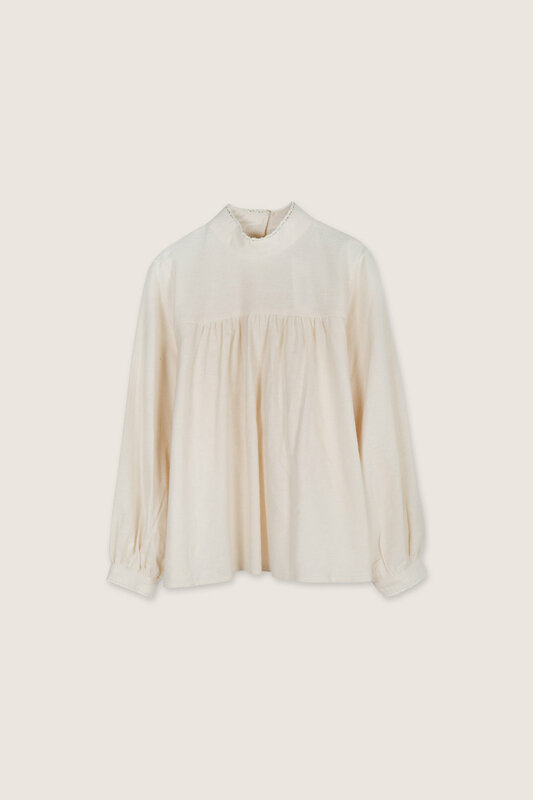 Crafted from 100% cotton, this soft and lightweight blouse features a babydoll silhouette with a subtle mockneck, gathered sleeves, and a button-up closing at the back. 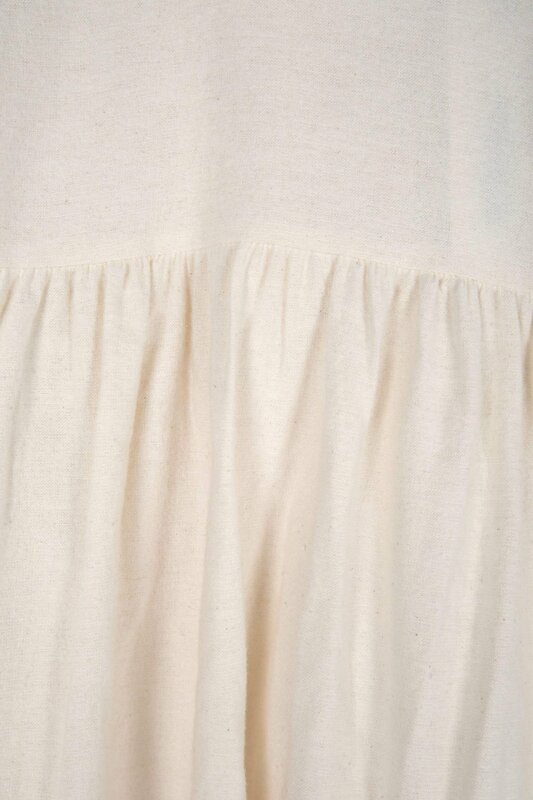 The crocheted detailing along the cuffs and neck give this piece an ever so feminine touch. Pair with denim and heeled mules for a chic and lovely look. Care Instructions: Machine wash cold, lay flat to dyr, low iron, or dry clean.